The legs make up the largest part of your body and carry a ton of muscle. If you skip leg day, you are missing out on a ton of growth potential. Not to mention the large hormone release (testosterone, growth hormone), fat burning enzymes and caloric burn that come with working your legs. Stand holding a kettlebell close to your chest. By bending your knees lower yourself down into a half squat until your thighs are parallel to the floor. Keep your chest and head up and your back straight. At the bottom position, pause and push your knees out to return to the starting position. Repeat the exercise according to the training plan. Stand with your arms extended out in front of your body. Balance on one leg with the opposite leg extended straight in front as high as possible. 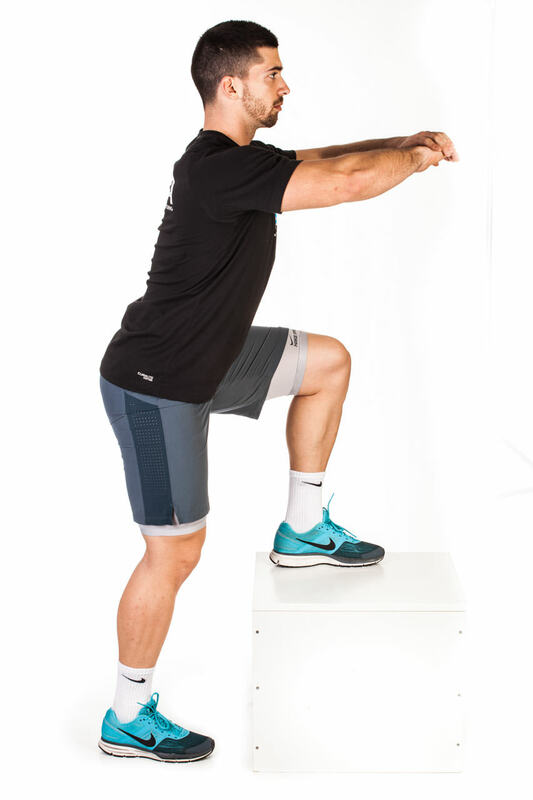 Squat down as low as possible while keeping the extended leg off the floor. Keep your back straight and the supporting knee pointed in the same direction as the supporting foot. Raise your body back up into the starting position until the supporting leg is straight. Repeat the exercise according to the training plan then switch legs. Stand in front of the box while your arms are extended in front of you. Step onto the box with one leg and plant your foot flat on top of it. 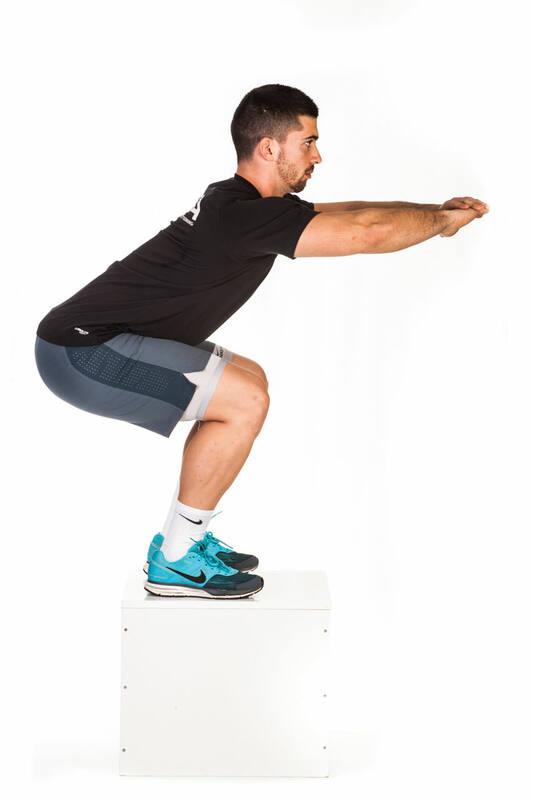 Drive down through your heel to extend your hip and knee, and lift yourself up onto the box and into squat position. Now the foot of your trailing leg is next to the other. Step back down to the floor, and then bring the other foot down next to it. Repeat by performing a step-up with the opposite leg, alternating legs every other rep. Repeat the exercise according to the training plan. Stand with your feet shoulder width apart. Your arms should be extended next to your body holding the kettlebell in both hands. 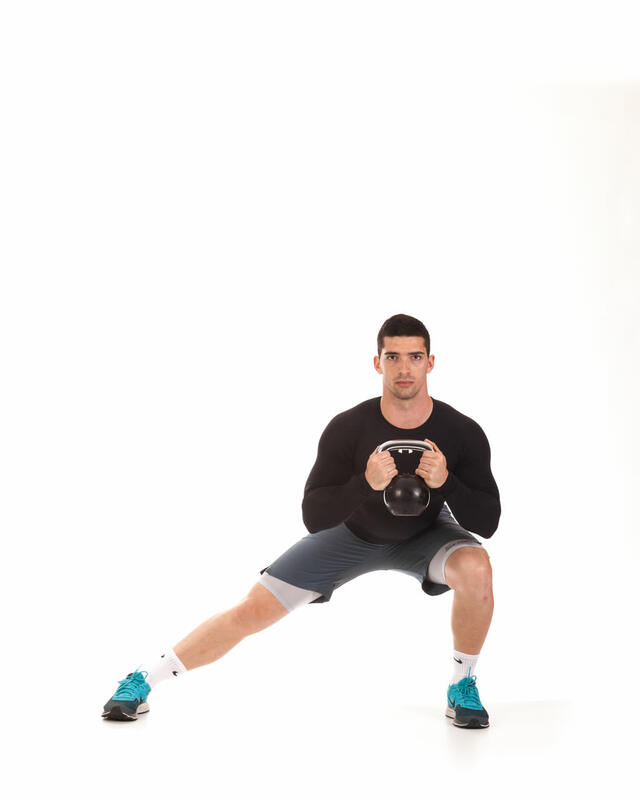 Brace your core and then step back into a lunge with your left leg. Go down onto the back knee and ensure both knees finish close to 90 degrees. Hold for a few seconds. 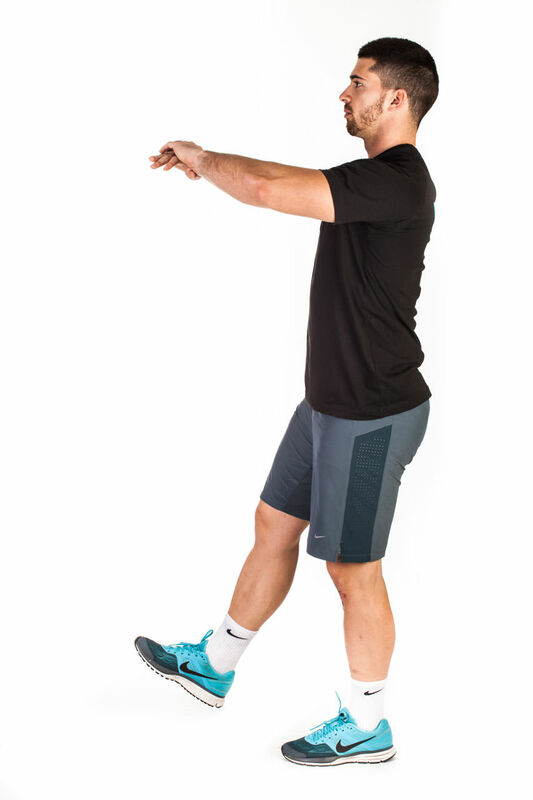 Raise body back up to the starting position so your feet come together again. Repeat the exercise according to the training plan then switch legs. 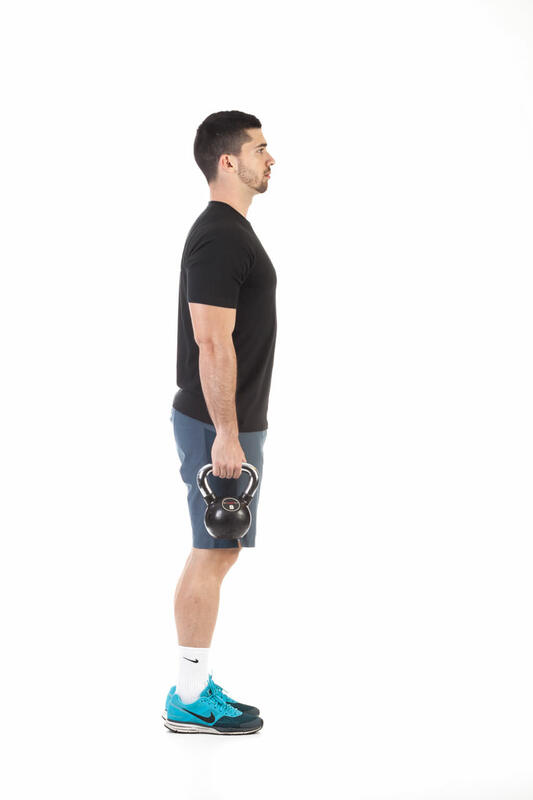 Stand straight holding a kettlebell with both hands in front of your chest. Slightly bend your knees and hips. Put your feet shoulder width apart. Take a slow, lateral step to one side. Keep your toes pointed forward and stay low. 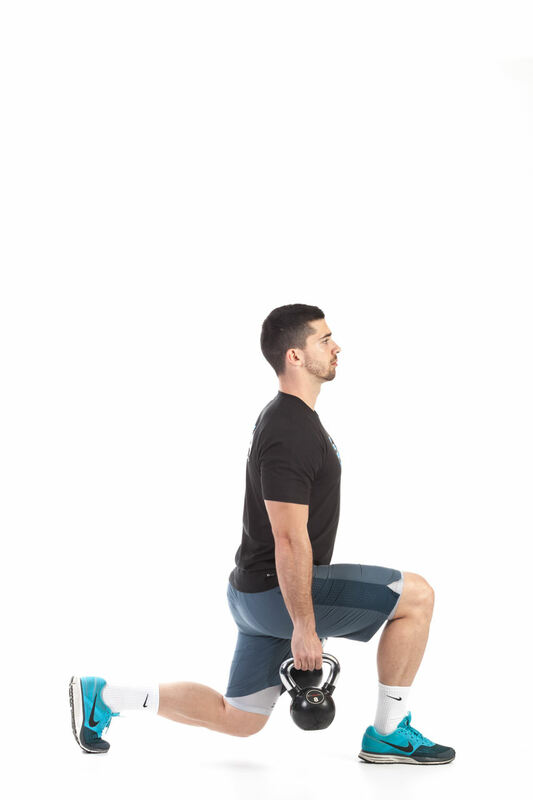 Extend the opposite knee, driving your weight to the stepping side. Keep your head and chest up. Through the working leg return to the starting position. Repeat the motion to the other side. Repeat the exercise according to the training plan alternating legs for each rep. 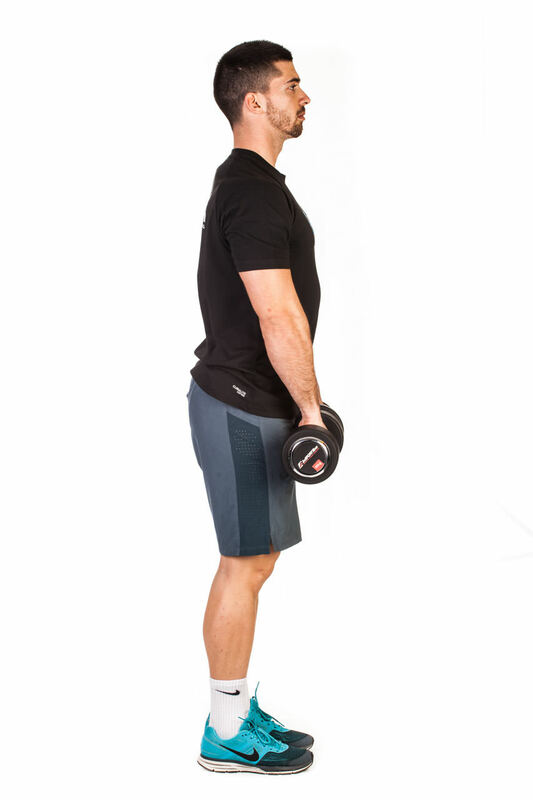 Stand upright with your feet shoulder width apart, holding a pair of dumbbells in each hand. Slightly bend your knees. Keep your hips and back straight. When standing, the dumbbells should be resting against your thighs. Lower the dumbbells by pushing your hips back and maintaining a slight bend in the knees like when squatting or performing regular deadlifts. Lower the dumbbells to a position just below your knees rather than all the way to the floor. Your back should be straight and parallel to the floor at the lowest position. 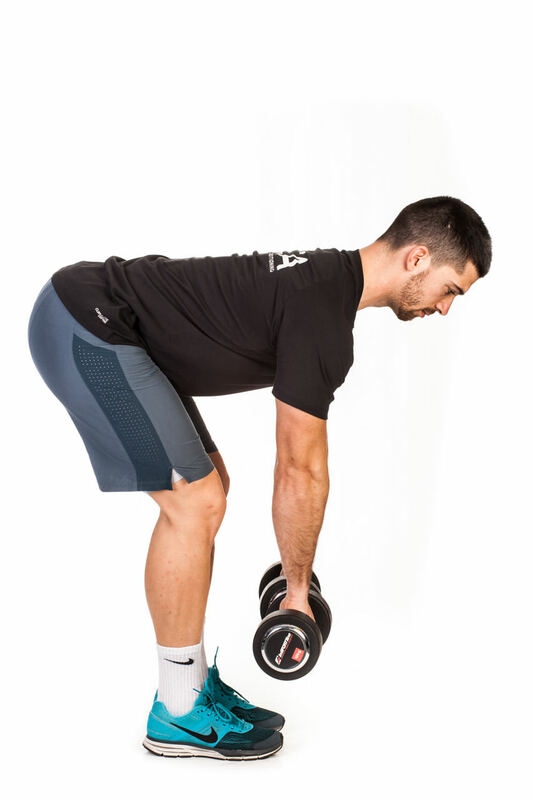 Return to the standing position by maintaining a slight bend in your knees and keeping your hips and back straight as you lift the dumbbells straight up. Concentrate on using your hips and legs as you stand. Repeat the exercise according to the training plan.